Many guys overlook the pocket square because they simply don’t own one, or they just don’t quite know how to wear it. However like many things, the smallest detail can make the biggest difference. Don’t leave home without it. A suit without a pocket square lacks a certain finished flair. Colour coordinate your pocket square to your outfit, but avoid a complete match to your tie. Instead, choose a square that picks up on the dominant colour or colours of your neck-wear. Whether it’s a business suit or a wedding suit, a carefully selected pocket square will finish your look off with style. 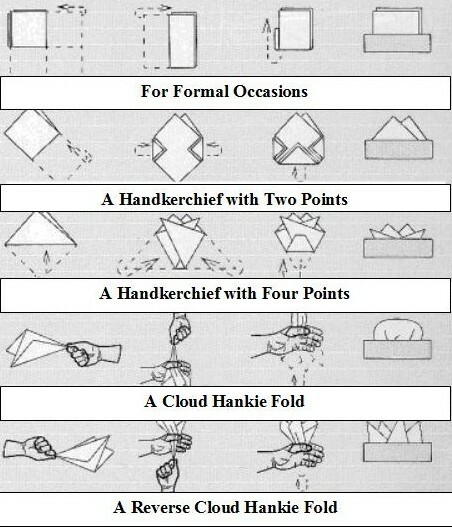 Here are 4 Classic and simple pocket square folds to know.